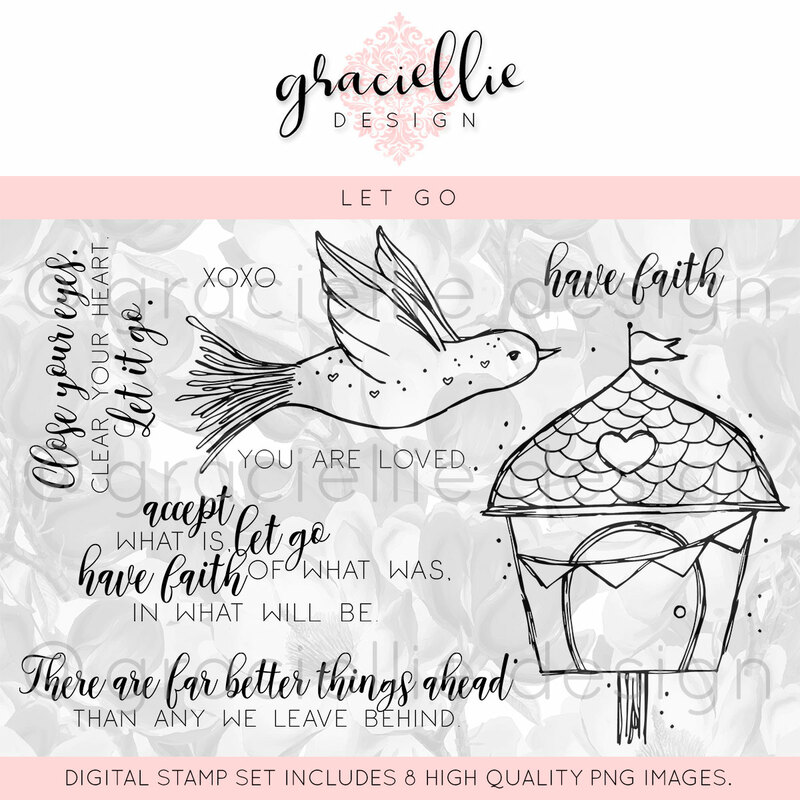 Today I have a somewhat clean-and-simple card to share with you featuring one of Graciellie Design's digital stamp sets called "Let Go." This is such a sweet card Esther! 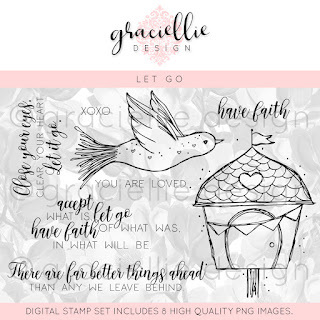 I love how you colored the bird and birdhouse and the faded hearts background look so pretty!